EXMOUTH is the oldest “seaside “resort” in Devon. It is ten miles from the city of Exeter.It started out as a medieval fishing village built around a ferry –station on the boundary of two Saxon parishes of Littleham and Withycombe Raleigh. As the 18th century progressed locals began to get used to the intermittent invasion of strangers. The rich and titled came from Exeter and then from further afield as Inns, lodging houses and eventually hotels sprang up to house them. Some stayed and built houses, villas and mansions. People began to realise that in the sea and particularly the two miles of golden sand which gave them fish and often snatched away their lives they held an unexplained treasure. 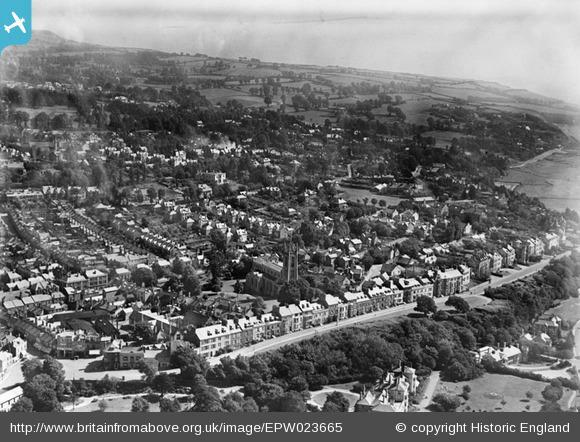 For over a century Exmouth’s golden age continued until the railway opened up Dawlish, Teignmouth and finally Torquay. It was Torquay’s success which marked Exmouths gradual decline as a fashionable watering place. But the town did not die and after years of planning it too achieved its own railway and docks. It became a port and with its two miles of golden sands a resort for the family a retirement town and to some extent a dormitory for Exeter. There are other sides to Exmouth’s story : the fishermen, pilots, and life boatmen who braved the elements to bring sustenance and safety to its people: the smugglers and revenue men who fought a running battle along its shores and the lace workers who laboured for a pittance and lived in grinding poverty behind the glossy facade. 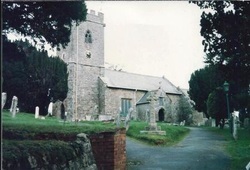 The Parish Church is St Margaret and St Andrew, Littleham and Holy Trinity, Exmouth. The best and most obvious place to view the Littleham (Exmouth) parish registers is the Devon Heritage Centre in Exeter where all the originals, microfilms and fiche are kept. It is not always possible to visit Exeter and so copies or indexes are the next best thing. Below are some sites where you can find and dates available. I recommend these books many of which can still be purchased from many local book shops or you can try various web based book sellers. Follow this link if you want to buy the book from a local book shop. Some of these books have been indexed with the permission of the author or publisher where appropriate. I have listed the name of the person who is willing to do look ups for those books which have been indexed. I am willing to do look ups where a precise reference is given.